Having arrived at a campsite 1/2 mile west of London, Kentucky, the evening before, the 16th Ohio now rested. The regiment's supply wagons arrived in the evening. Gen. Carter, with three regiments of infantry, the 1st and 2d Tenn. And 49th Ind., was here waiting for us to join him and become a part of his brigade. Now, a new epoch of our history opened from this forth; we no longer operated independently. 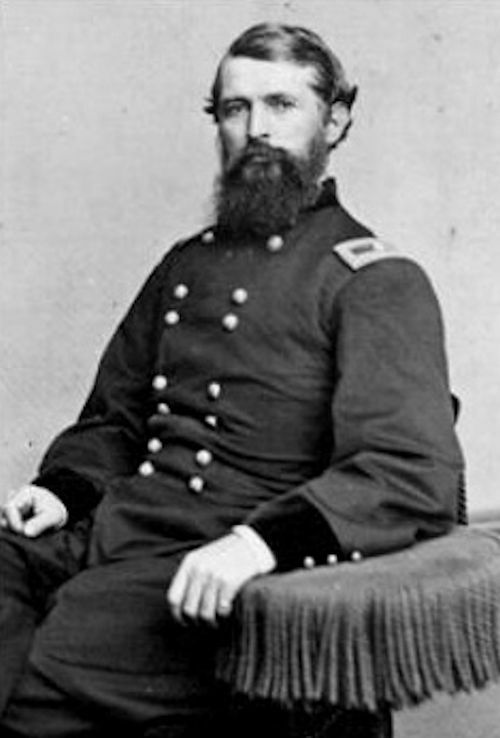 Gen. Carter, our first Brigade Commander was a Tennessean. In stature a little above the medium; eyes, hair and whiskers dark; in mien retired, or the word quiet might express it better, but quick to decide and resolute. He made a decision in our behalf that the boys ever afterward gratefully remembered. He ordered the carrying of knapsacks on camp-guard continued. From that time forth the men of the 16th looked upon General Carter as a benefactor.